I have a lot of ‘Archive’ type stuff that I want to get on the net, as a record of Libertrain activism. This one I found recently on a stick. It will be handy to reference in the future…. ‘Affordible Hamilton’… ????…. maybe. Best of luck, brother. I’m pulling for ya. Would you be interested in doing a skype interview at some point? 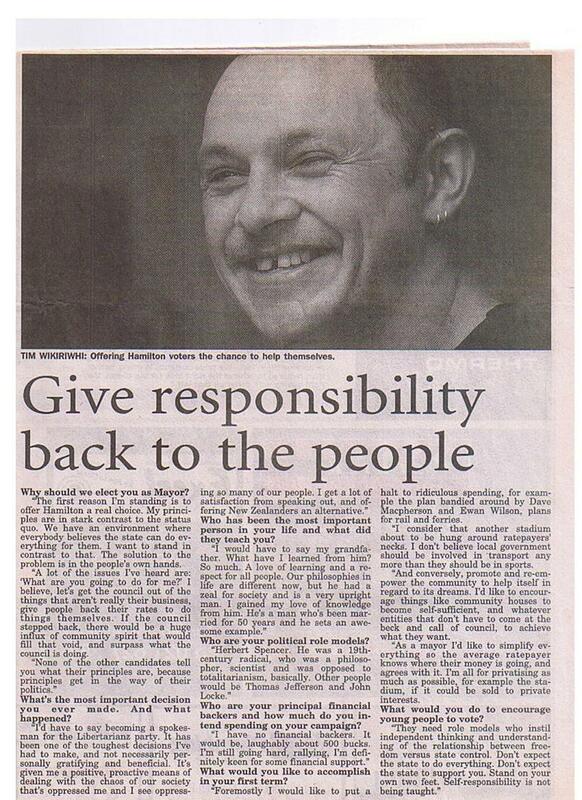 That clipping is from around 2004, yet I am standing again this election on exactly the same principles. I dont have a web cam so I cant do skype. I do plan to get one, so I will let you know. I would love to do an interveiw… always keen to get the message out there. I tried to leave a comment on you blog yet it would not let me fill out the Email fields etc? That’s weird. Are you sure it’s not just your browser? Please let me know if and when you get set up, and we’ll make it happen. Keep me in the loop. I’ll do what I can to spread the word. 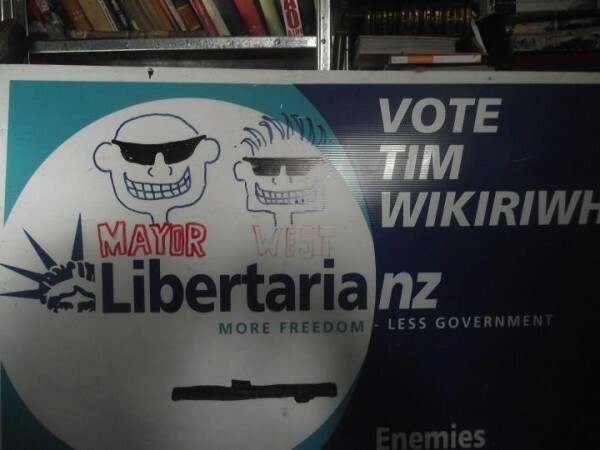 Tim is running for Affordable Hamilton this year, eh, Tim?